I am a long-time pet owner experienced with a range of domesticated animals from dogs to horses, mice to snails. This article is designed to inform and educated new or existing hamster owners about a serious condition called cage rage. 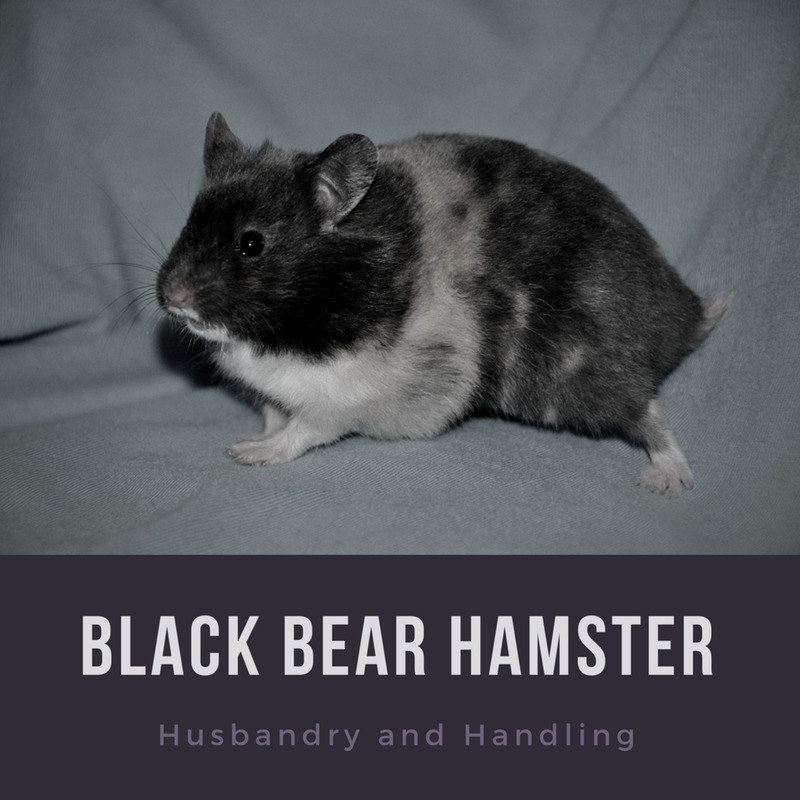 It can cause serious harm to the emotional and physical harm of the hamsters and trigger a long list of behavioural problems. Syrian "golden" hamsters are most at risk. Roborovski hamsters are small and pose the least risk, however they can suffer terribly with stress itching and overcrowding. All species of hamster can suffer from cage rage. In extremely severe cases the hamster may never recover. It is caused by cruel living environments. Many cages sold in pet shops or online are extremely unsuitable and even dangerous. Thorough research needs to be done so people purchase the correct housing to prevent this from happening. Cage rage is a genuine psychological disorder that any animal that lives in a cage can suffer from. It can range in severity from early onset where it is fairly mild-moderate to extremely severe causing deranged and dangerous behaviour to you, other hamsters, and the hamster itself. It is caused by the animal being kept in a cage far too small. 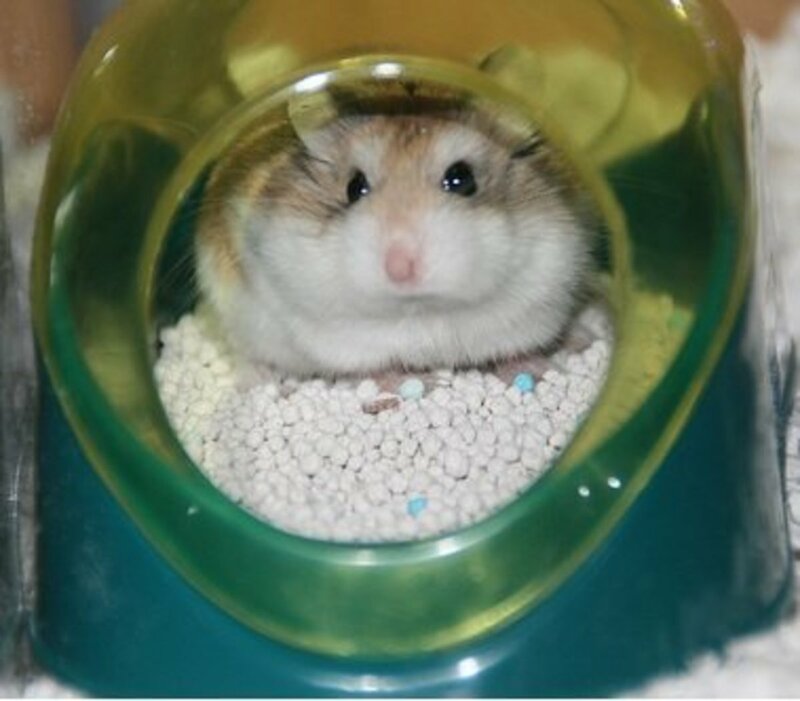 Syrian hamsters in particular at a very high risk as many people keep them unsuitable living environments. It is important to always follow RSPCA guidelines. Syrian hamsters can grow quite large and require a lot more space than people realise, thus, cage rage is commonly mistaken for natural aggression. This type of disorder can be incredibly stressful for the animal as well as making it difficult for you even to feed them, handle them or clean them out. Many hamsters with this condition will guard their cage doors and not let you open them. Stress can shorten the lifespan of a hamster as well as increase the risk of developing serious health problems as time goes on. The symptoms can vary and in the early stages it can be harder to identify cage rage. Frenzied excessive bar biting that can last for hours at a time. Biting you especially if you put your hand into the cage for any reason. Excessive marking of territory - produces bad smells even shortly after being cleaned. Increased aggression inside and outside of the cage. 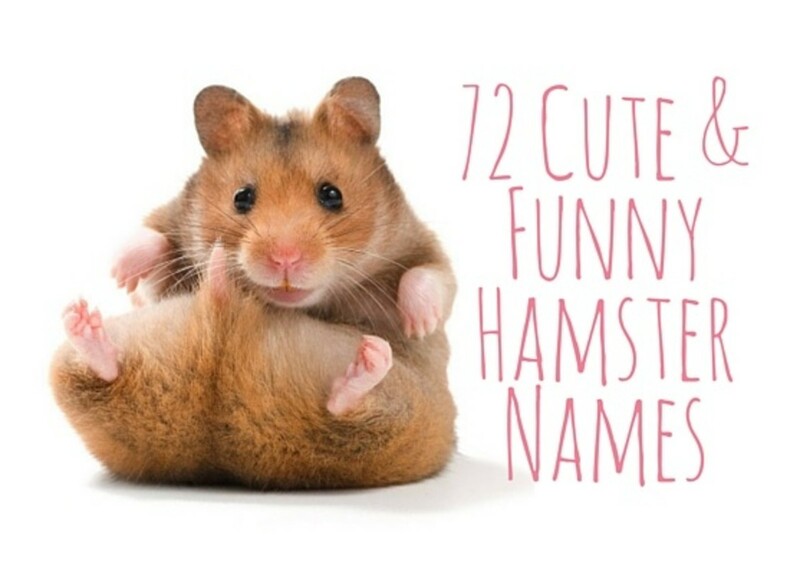 Hamster may lunge at you or anything you put into the cage e.g. a stick. Destroying personal items e.g. toys, nest, etc. Highly aggressive behaviour towards you or anyone that intrudes the cage often leading to a frenzied attack. Squeaking, squealing or spitting when approaching the cage. Very difficult to clean the animal out. If the hamster is kept with a cage mate they may suddenly attack them or show extreme aggression and corner them not letting them out. Hamster is very anxious, worked up and agitated. Ruined teeth from extreme bar biting. Climbing around the cage restlessly even for hours at a time. How Can I Tell If It's Really Cage Rage? Many people mistake their hamster for being nasty, aggressive or just destructive. Hamsters by nature are not aggressive animals, now will they destroy their toys or nest without reason. When it comes to cage rage, a hamster becomes frenzied, aggressive and anxious. Bar Biting: Some hamsters will chew the bars when they want to be fed, some will do it if they have nothing to keep their teeth down on and some do it just because they want to. In these cases the hamster won't chew for long periods of time, do it enough to damage their teeth and it can often be stopped by feeding, handling or bringing them out to play for a while. If you have tried the above and your hamster is still biting the bars continuously, doesn't seem to want anything, and is doing it in a frenzied rage for hours at a time, it's a sign of cage rage. Bar biting is not a normal behaviour and is often a sign of emotional distress. Biting: Hamsters do not bite you unless you are doing something wrong. 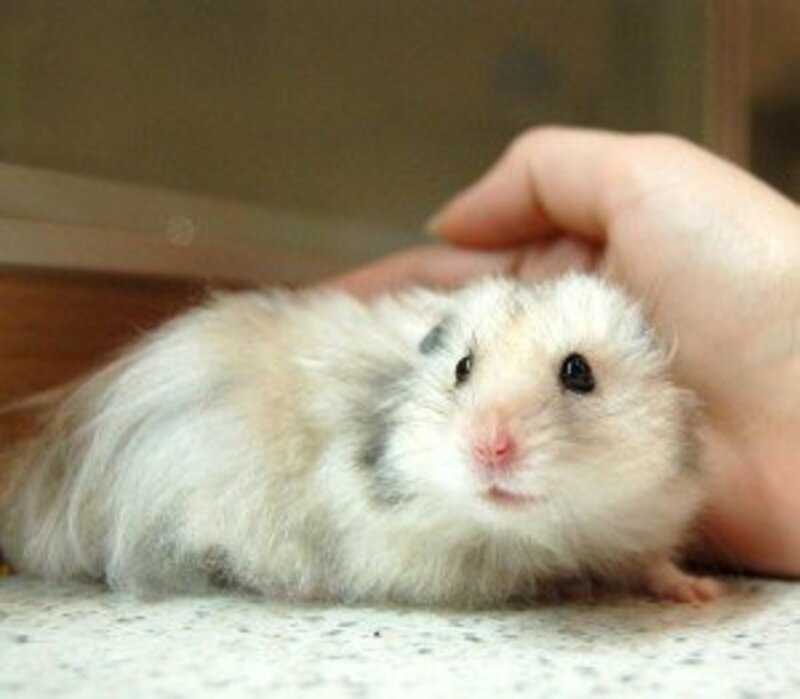 A hamster that is not tame and has not been handled much is likely to bite you on occasion. Hamsters with cage rage often become aggressive with no explanation and can eventually become impossible to handle, will lunge for you when you feed them and may sit at the cage opening and bite you when you try to open it. This behaviour is especially worrying if your hamster was previously peaceful. Hamsters bite because they are threatened and angry, not because they are mean. Racing: A hamster with cage rage will race around a lot, be climbing the walls and will be very possessive over their cage. Often the racing is accompanied by lots of urinating or rubbing their scent glands everywhere to mark their territory. You may also notice your hamster scratching their scent glands excessively to release more scent. A hamster that is continuously racing around is not at peace. Cage Aggression: If your hamster is possessive over their cage, is difficult to handle and often tries to attack you when you open the cage, it is a strong indicator the hamster is suffering. Hamsters are not possessive or aggressive over their cages towards humans. Syrian hamsters are insanely territorial and will not allow another Syrian onto their property, however, having them in the same room does not increase aggression. Other hamster species' are not as territorial and in the case of Roborovski hamsters, they are not really territorial at all. Hamsters do not view you the same way they view other hamsters so will see little-no reason to display territorial aggression unless something is very wrong. Hamster shows signs of stress: Cage Rage can cause a lot of stress on their physical and emotional health. A stressed hamster may be very agitated, sleep in odd patterns, too much when they are young, or very little and be active at most times of day. A ruffled coat and red stick eyes are signs of stress as are excessive hoarding of food, anxiety and drinking too much. This is because your hamster fears someone is going to claim their food and possessions. It is possible to treat and even cure cage rage. 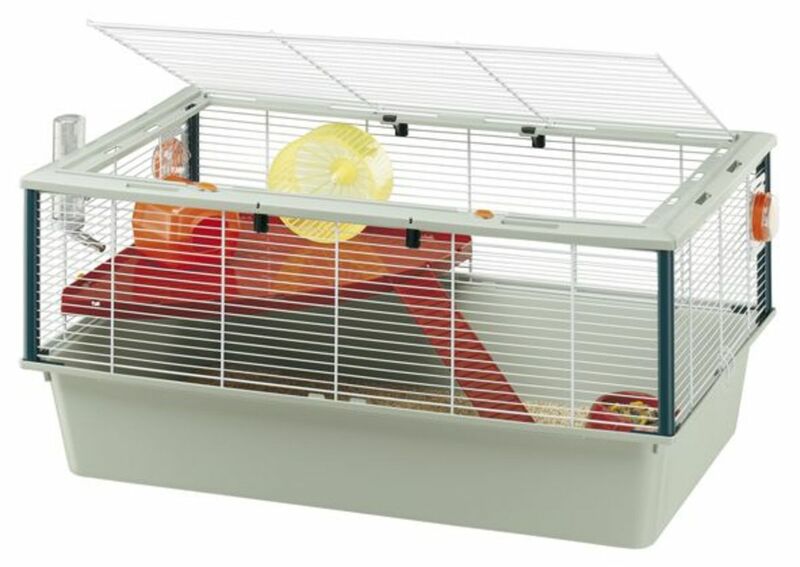 Move your hamster into a much larger, more spacious home with plenty of toys and ventilation e.g. a large bar cage. I will include some photos of suitable cages and sizing below. Allow your hamster out at least 3 times per week for exercise and handling. You can purchase pens or allow them to walk about with you on the sofa or bed. If bar biting is a serious problem and the teeth are very damaged, opt to put them in a large clear plastic or glass tank with a mesh lid preferably with at least two floors. Teeth do repair and grow back in most cases but it can take time. Avoid any cages with tubes, tight holes, small sleeping boxes or plastic that sweats. Not only as they extremely unhygienic and difficult to clean, hamsters are at the highest risk of stress, injury and cage rage in ones like that. Make sure any toys or wheels you give your hamster are large enough and suitable. Large plastic closed rat wheels or large saucer wheels are a great option. Spend time with your hamster. Give the hamster a larger nesting box with a large hole to exit from, alternatively you could allow him or her to build a nest openly in a corner of their cage which gives them plenty of space and prevents them from feeling trapped. Many nest boxes are not large enough for Syrian's anyway. Sometimes just moving them into a much larger cage can make a difference within hours, severe cases can take several weeks to improve and rarely it never fully goes away. Cage rage is one of the most preventable problems in hamsters. Cage rage is not only one of the most common hamster conditions, it is also the most preventable. 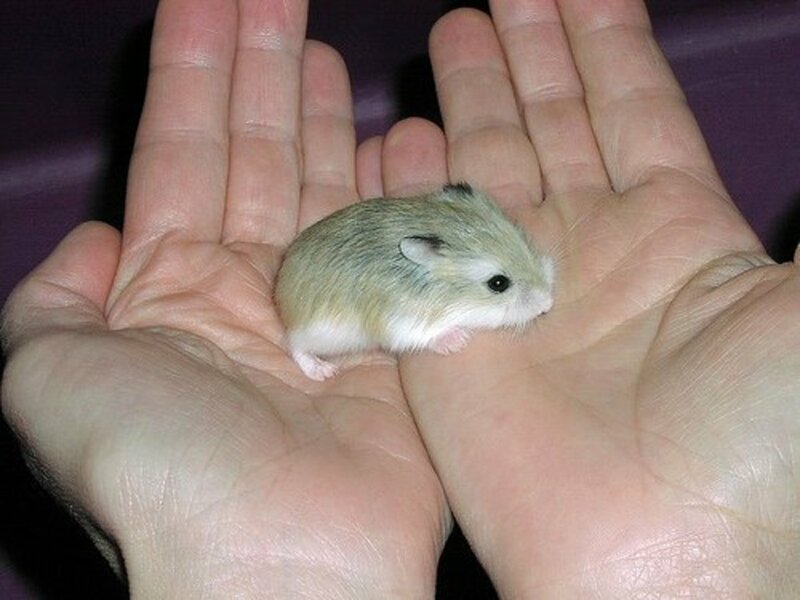 Syrian hamsters grow on average to be 5.5-6 inches in length but it is not uncommon for them to be even larger than that. Due to their size and their highly active lifestyle, they require a lot of space and stimulation to prevent boredom, stress, behavioural problems, cage rage, and health issues. Syrian hamsters should ALWAYS be kept alone as they are extremely territorial. Avoid placing two hamster cages together hoping they will talk to each other. They won't. It will increase stress and aggression levels and you will find they mark their territory more and will smell much worse. Females are especially aggressive towards other hamsters. Avoid cages with tubes, tight spaces or small nest boxes. Make sure all toys and wheels are a suitable size for your hamster. Bring your hamster out to play at least 3 times per week and try to handle them daily. Change things around in their cage occasionally to promote stimulation and add new toys. Hide treats for them to forage and find. Avoid feeding your hamster through the cage bars, they will quickly get into a habit of bar biting to look for food and ruin their teeth. 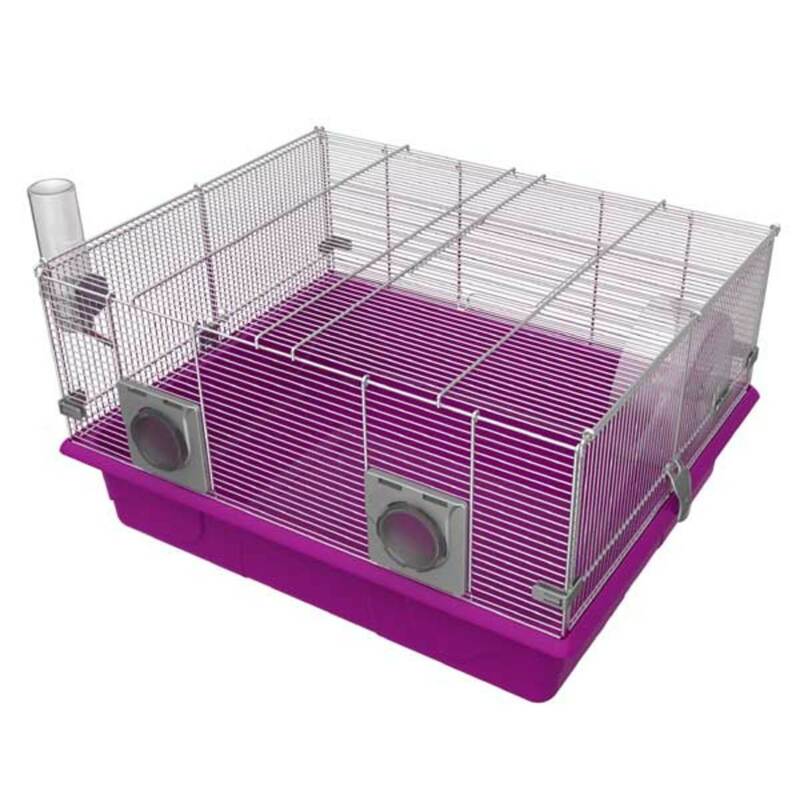 56.7 x 30 x 22.5 cm is an excellent sized cage (there is an image below in suitable cages, the top image, of what this size refers to) it is suitable for all types of hamster but is can be quite large for Roborovski hamster's unless kept in a group of 2-4 hamsters. You typically want to buy the largest cage you can afford, look for structure, ventilation and space rather than how funky it would look in your bedroom and how much fun you think it looks. Would you want to be squeezing through pipes to get to your tiny box bedroom and toilet combo? no, so neither does your hamster. 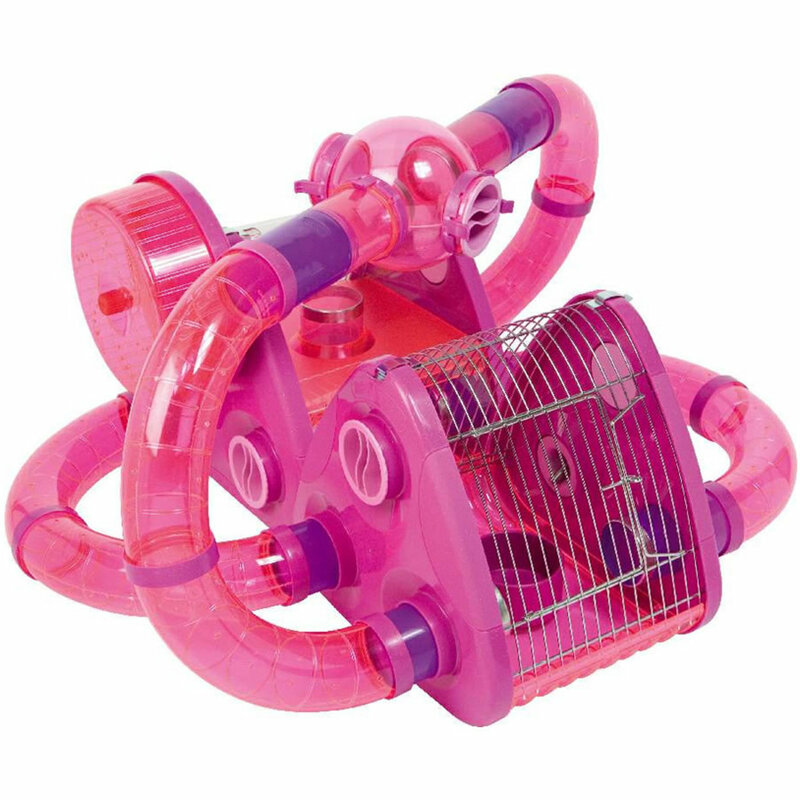 A large wheel size, suitable for rats and large hamsters is perfect. Make sure it is plastic and has no open slats where legs and even necks can and will be trapped and broken, even with larger hamsters this does happen. You can also choose a large saucer wheel for a modern twist. Wooden toys are essential to help prevent bar biting and keep their teeth down. 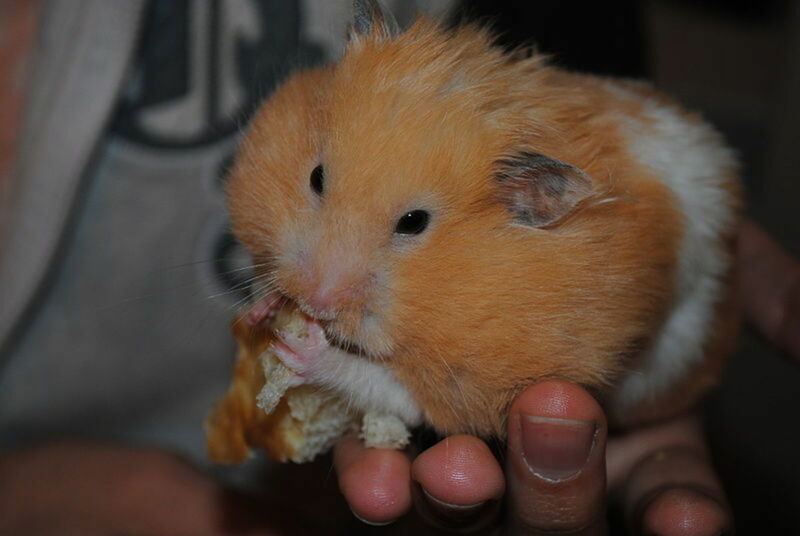 Hamsters love to chew and their teeth never stop growing! The cage should never be cramped with stuff giving little floor or climbing space. 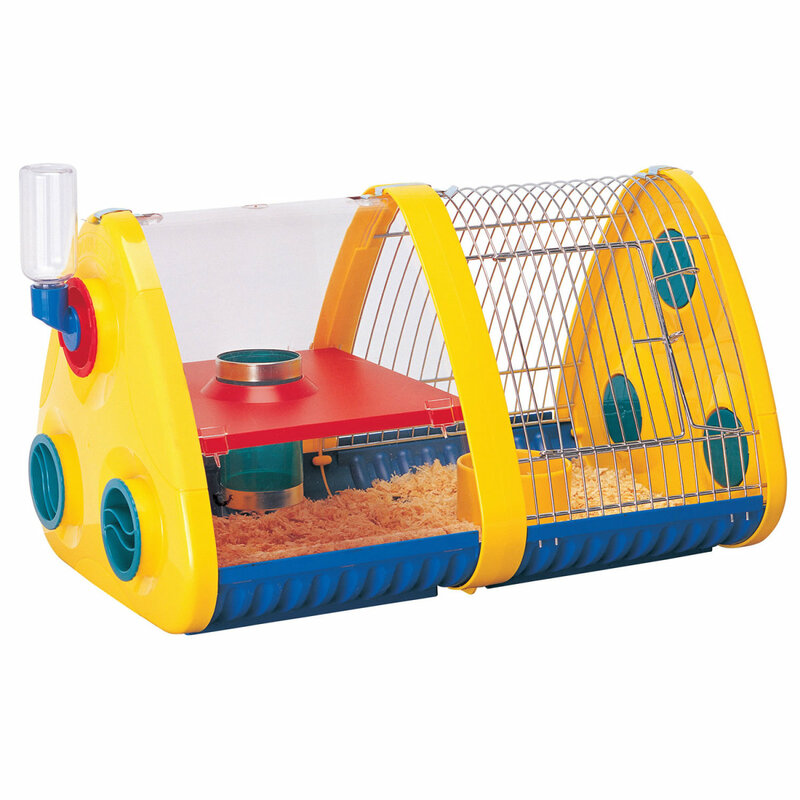 Hamsters are very active and require lots of room to have fun in. Anything you give them should be 100% secure and not easily broken without flexible bars or bars more than 1cm apart. In an appropriate cage with strong bars or a large tank with a lid, escapes are rare. This is the perfect example of a cage and I own one, they are quite large and I have never had an issue. 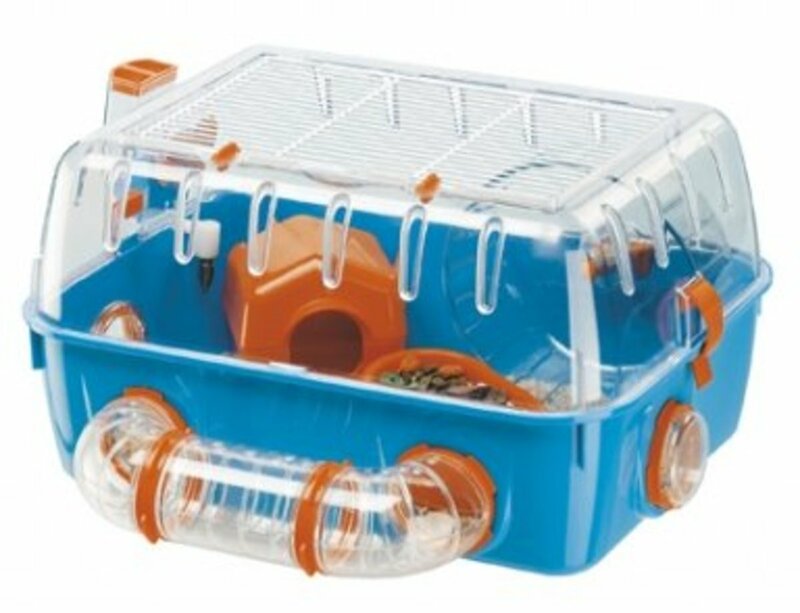 This is the perfect example of a suitable cage for a Syrian or two Russian Dwarf hamsters but is too large for Roborovski or Chinese hamsters. Another brilliant example of a sound, large hamster cage giving lots of variety and options for digging and nesting. Suitable for all types of hamster. A good hamster cage suitable for smaller Syrian's and all other types of hamsters. These you can buy things to build up however you like and are of a decent size. Unsuitable for all hamster types. These promote suffocation, toxic fumes and they are less than a quarter of the size a Syrian, dwarf, Chinese and Roborovski hamster require. They are impossible to clean and very dangerous. Hamsters can barely move. These cages are much smaller than they look and are the perfect example of provoking cage rage in all hamster types. You could keep a single young Roborovski in them with an add-on, but only as a temporary cage. They need lots of add-ons. 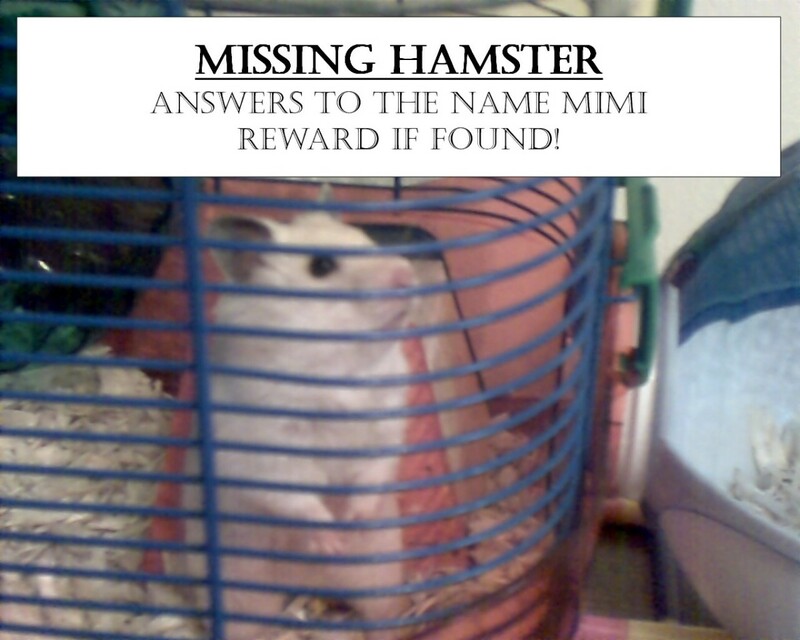 Completely unsuitable for all types of hamster and is only large enough to transport them to the vets and back. We have a robo hamster, Millie. She is showing signs of cage rage...climbing the cage, biting the bars, running a certain path in her cage, and biting even when just feeding her. After recent research, we know her cage is too small. I am looking at getting her a new cage. Since robo hamsters are so small, I am asking for help to find one she wine be able to escape. 56.7 x 30 x 22.5 cm That is far too small for a Syrian. Wood Green Animal shelter recommended the minimum size to be 80x 50x40cm. You can get This in the Alaska cage for £32. Mine are in a Mamble 100 which is 100cm long. It seem odd you’d recommend such a small cage. My daughter has had her hamster for about 6 months. We accidentally left the window open. He doesn't feel stiff but I can't see him breathing or feel a heart beat. How do I know for sure if he's dead or hibernating? I recently bought a winter white dwaf hamster. He is housed in a bar cage that is 630 sq in. He is constantly bar chewing and squeaking and every time i try to feed him or tame him he lunges and bites me. What do I do? Yes that is too small. I would get a 20gallon tank or bigger. I have a Dunjarian Striped hamster named Felix, I recently cleaned his cage (I put some of his old bedding in top so it’s okay) and now he’s running around like a mad man! Digging tunnels, climbing on his things, I’m worried about him! I have a glass Aquarian for him, the dimensions are, 20 in x 12 in. Is that too small? I’m worried! Please help! I’ve just brought a dwarf hamster from a lady who has no time to look after him. When she dropped him off she showed him to us and he sat happily in her hand. A week later and he is so aggressive, goes for me when I change his food and doesn’t sleep much. His cage is big with a clear tube running around the outside. He is constantly chewing at the tube! How do I help him? There really is no size cage that is too big for any hamster. The minimum cage size is 450 square inches, but bigger is always better. Especially for dwarves, which this article stated that the cage listed was too big, a larger cage is essential to having a happy hamster. Syrians, in addition, benefit from a larger cage. I would recommend a 40 gallon breeder aquarium or a large bin cage if you cannot afford a tank. I currently am taming a cage aggressive male dwarf hamster. I have found huge success in using the "bathtub method," which involves putting a towel down in the tub and putting a wheel and hide in as well. My hamster is already improving and not biting as much. All I had to do was handle him in a different environment. Remember to reward your hamster after portraying good behavior with a small and healthy treat. It is ideal to have a smaller treat because you are most likely going to be using quite a few treats. Hope this helps! My Syrian seems to be stressed lately and I just don’t know what it could be,her cage is the hamster heaven metro 80x50x50 and she has lots of toys,bedding,food,play time in my bath and 20 minutes every night in her ball to be honest she is pretty spoiled but she has been bar chewing and climbing around her cage a lot I can tell she is stressed I just don’t know what to do any suggestions? My hamster only climbs and bites the bars when im changing his food bowl and i open the sweet smelling pack of delicious nuts. I find him quite clever as he knows how to shove the nuts by bringing his face close to his paw and pushing it in. We have a Syrian hamster we started off with 2 floor sized cage bought suggested by petstore clerk. We got her as a gift for daughter for Christmas. Shortly after we got another, this time a Teddy Bear hamster more friendly was told. We were experiencing a child thinking her first hamster hated her and cried everyday. We have never been able to hold her....ever. We called the humane society asking questions taking all advice to try different things, change to aquarium..... Get chew toys...get larger hamster house to put in...a ball. She had everything and still was not happy about being touched, let alone picked up. They continued to tell us after we explained what we were experiencing that some hamsters are just not friendly....one in every litter turn out to be hard to handle. After being told that we still have her but she has gotten worse. She is definitely in the list of cage rage 100%. I can't breathe from the smell...asthma kicks in. I literally cleaned her cage and smelt the same day. She bites and bites and bites the top of cage...the wire basket that held her bottle we had to taken out and just give dish of water. She literally bites everything... Everyone says to escape ...what more can we do...nobody wants her because of this behavior but we are and did try...feel terrible but just need her to stop can't handle it anymore... Bad for breathing and need to get rid of her....problem is we always end up keeping, how do we let her go. We were told long ago because of this behavior it needed to be put down...we never did. She is upsetting my whole house that she just doesn't like us....what else can we do, when we've tried too many times ...I'm concerned for smell and our health. I am very disappointed in the cages this article said were good for Syrians. They are far too small. Since these hamsters are the most energetic species of ham you can get, you would need a 30 by 23 inch cage and I have never seen a bar cage that large. DIY cages, bins and tanks are the best you can get for your hamster and if you don’t have the money for that you can’t get a hamster. I have a hamster that likes to lunge at me and bites me, I think it has cage rage and we don't have the money for a bigger cage and my mother doesn't want Nelson( that's the name of hamster) to get on the couch or any beds we do not have any spare beds please help me I want a pet but if I give Nelson away I won't have enough money for another hamster and I won't have a pet What do I do? @TEA do you have a hamster ball, your hampster might need to play outside the cage or maybe your hampster is lonely and might need a partner to be with. Anyone know what brands the two cages above are? I'd love to purchase one of them. Thanks in advance!! You're cage is too small, Please put Roofus in a bigger cage. I am an experienced hamster owner and the cage needs to be 100cm by 50cm and 50cm in height and thats not including platform space. You might need to buy a cage online as most pet shops are stupid and only stock too small cages. A large sized tank would be best for your species of hamster. 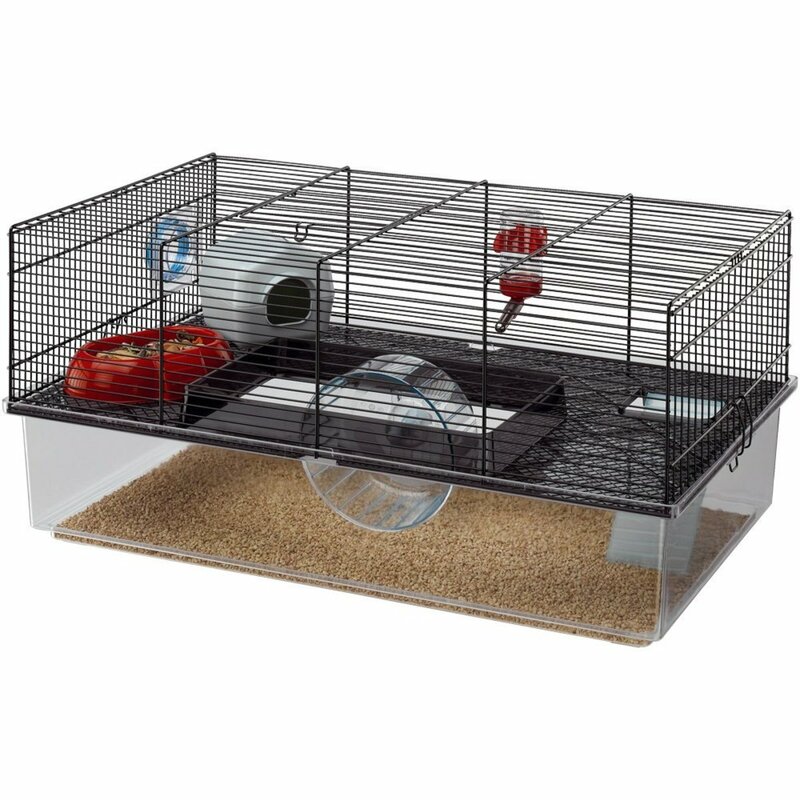 My robo hamster's cage is 38.1 X 24.1 X 38.1 cm, he is the only one in the cage. It has a raised shelf and a tunnel up to the shelf. As well as a food dish, exercise wheel, and a water dispenser. I just got this little guy, his name is Roofus. I don't want him to be uncomfortable, I was wondering if his cage is suitable for his species? I thought that our hamaster had rabies because it is easily agitated and would bite anything I put near it. I don't know much about them but I know how to take care of one and I read that it could be cage rage, pregnancy, or illness. Any advice?